Our Green Heat Packs are manufactured using high quality medical materials & industry leading quality control. Sale on now for Instant Pain Relief. Click n Heat packs are completely portable and deliver Instant reusable heat at the click of a button. To get the pain relief you desire you no longer need to rely on microwaves, electric blankets and being bedridden with a hot water bottle. Also included are Therapeutic Pearls which provide long periods of cold for soothing inflammation, aiding muscle recovery & sports injury. 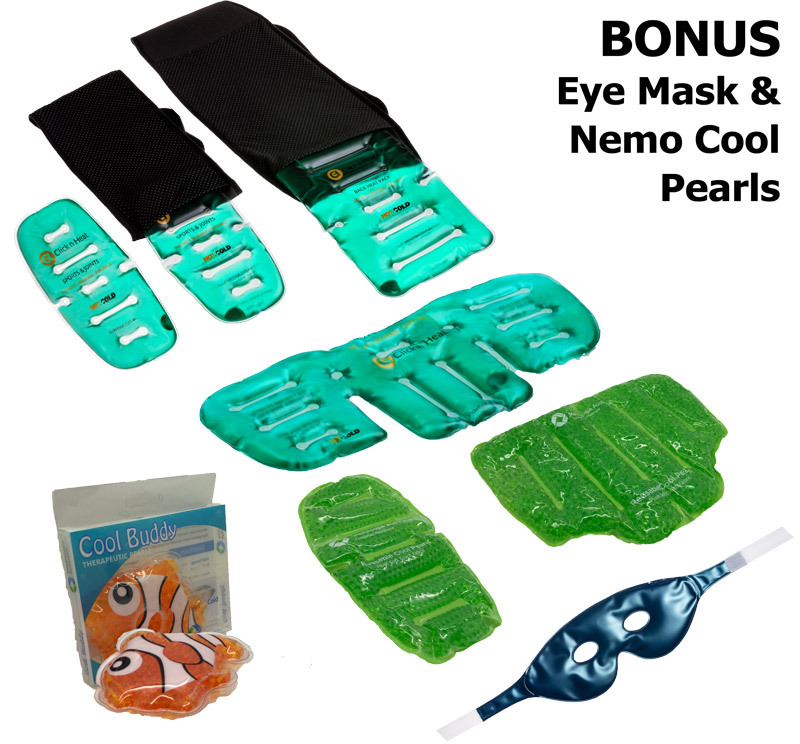 Enjoy a complimentary Therapeutic Eye Mask and Nemo Fish Cool Pearls. Use Offer Code NEMO1 at Checkout.